Traditionally an underrated European destination, today, Poland is becoming increasingly famous for its Jewish heritage, medieval architecture and delicious cuisine. Opting for a car rental in Poland allows you to explore the length and breadth of the country consisting of enchanting castles, medieval towns, markets and World War II memorials. Since the early 2000s, the country has made a tremendous effort in improving the motorways of the country, making it easier for travellers to plan self-driven holidays here. 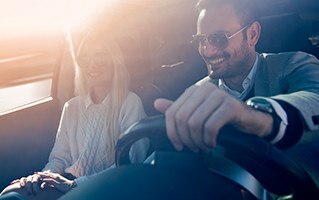 With a car rental in Poland, you will be able to easily travel between cities and explore its famous attractions at your own pace and time. You needn’t depend on strict public transportation time schedule and can make the most of your time in every city and every attraction. Since its entry into the European Union, Poland is back into the limelight as a tourist destination. With stunning historical sights, gorgeous landscapes and a rich heritage, you will be able to have a wholesome holiday here. Most of the major cities in this country offer some gorgeous buildings and lovely old city centres. When in Warsaw, you will have a fair share of churches, squares and palaces to explore. Krakow, too, is worth a visit, being home to countless monumental buildings. A 50 km drive from here will bring you to the Auschwitz concentration camp, reminiscent of the Second World War era. Book a car with Hertz and unravel the beautiful country of Poland at your own pace.